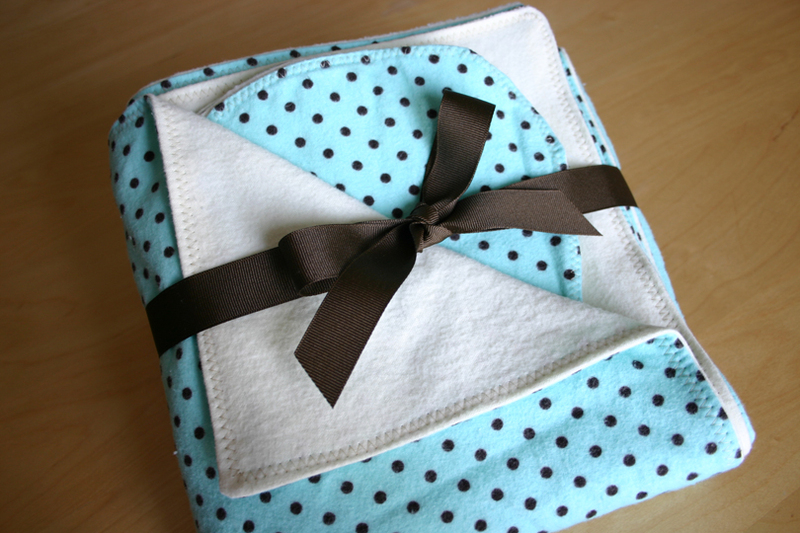 I finished a receiving blanket & two burp cloths in this darling polka dot fabric. (I really love polka dots & stripes too) It's for my sister Amber, who is very stylish in such an easy, breezy, laid back kinda way. Does that make any sense? I thought the colors really fit her. She's also in the hospital at right this very moment delivering her new baby boy Crew Jackson. Love that name. Hoping all goes well & waiting to hear the news. We'll have to get this gift in the mail today. 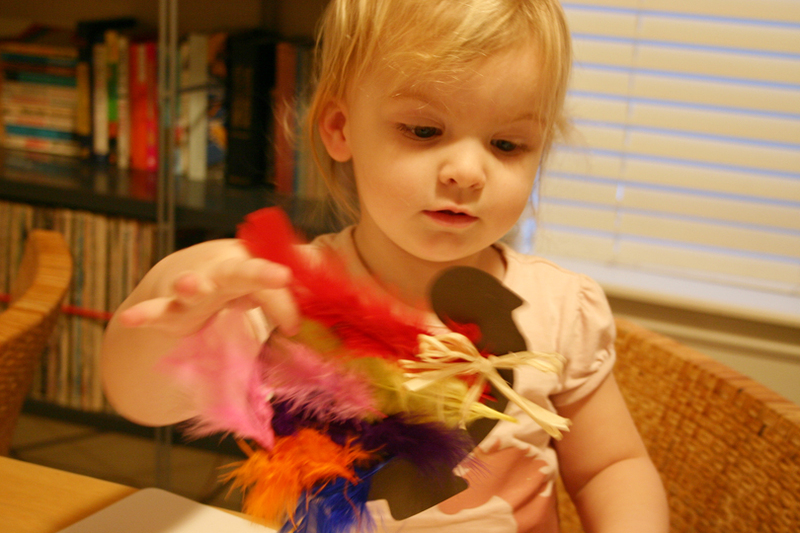 And here's a pretty bad photo of Sadie with her little turkey craft we did last week. She was seriously grinning from ear to ear while we were making this. When Dylan got home she said "Look dad! My chicken. Feathers on it." See sometimes I am a good mom. "See sometimes I am a good mom." Pffft! Whatever. You're always a good mom and you know it. Yes...You are always a good mom! LOVE the blanket. So thoughtful and cute! Gotta love that presentation... Remember "It's all in the presentation" Such a good description of Amber and it looks just like her. The hospital actually pushed her back, they didn't have enough beds. Probably tonight though! i love the name crew, have you ever seen the 80's movie RAD? the guys name is crew, i've had a crush on him my whole life! thats gorgeous! Don't you ever just see the things you do and think, Dang I AM talented! you have a perfect eye for design, the picture of my quilt was so haphazard, heather is right about presentation!! You're a dang fantastic mama, a true hero in my book! i want another baby so I can get a blanket like that!!!!! Candace, you are a geat Mom. I LOVE the blanket! Good work!